ChemPlastExpo is the annual appointment that you can’t miss. The unique event focused on chemical and plastics which brings you all the inspiration, strategy plans and solutions for the challenges that the industry must effort for the digital transformation. Join more of 200 companies and discover the new trends for the industry sector in chemistry and plastics along the new materials, technologies and management models. Thanks to the satelite events, you will be able to establish new professional contacts, even distributors or for talent search. 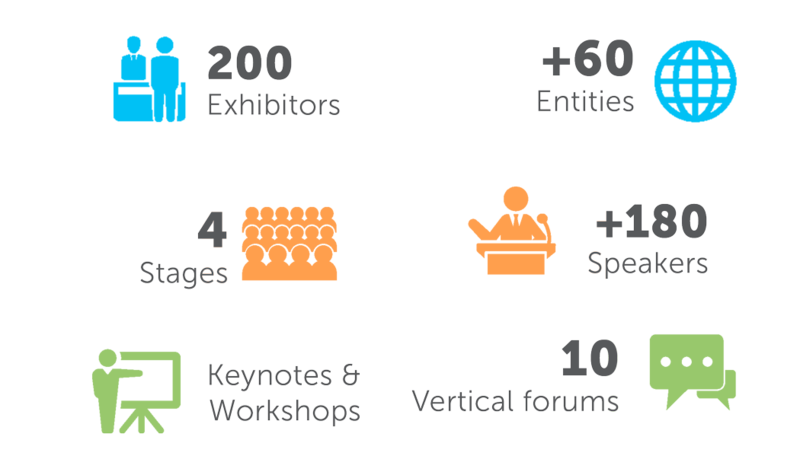 The variety of events and meetings organized will give you new strategic points, show you the newest tasks and functions inside the companies and get you a great number of opportunities for the digitalization of your company. Finally, you can be part of the Congress of Applied Chemistry and Industry 4.0 and the European Congress of Plastics Engineering, where more than 200 speakers will present the latest emerging technologies, solutions and services. ChemPlastExpo is a mandatory meeting for any professional, who wants to boost their factory to the maximum level of competitiveness and innovation. Don’t miss it. I wish to subscribe to the newsletter of Nebext. Nebext may process my email address to send me personalised information tailored to my interests about trade fairs organised by Nebext.